Growing up in Ohio as a young teen, I would take my savings account passbook to the bank and deposit my earnings from snow shoveling or grass mowing. When I moved to New York City in the 1980's, bank tellers still stood behind bullet-proof windows, but soon ATMs became as ubiquitous as Starbucks. Now, I follow my own HSBC account on-line. 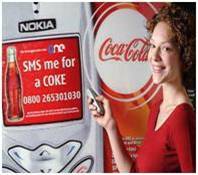 Cell phones in some parts of the world can now be used to buy a Coke! There is a funny trend happening. The developing world never built the infrastructure we have in the developing world - and therefore they are now leapfrogging ahead, at an amazing speed. We in North America and Europe are stuck with what the experts call "legacy infrastructure," that is hard to break away from. One reason is the decades and enormous investment poured into developing the infrastructure - now that investment of time and money must be protected. Travelling around the world about one week a month, working on orphan care though the U.N.-affiliated NGO I founded ten years ago, Orphans International Worldwide (OIWW), I have seen the future in the developing world. It is our own future: cell phone banking, known as "mFinance." At the GSM Association annual congress in Barcelona, Diarmuid Mallon, of Sybase of Reston, Virginia explained the basics of mFinance to me. We now have a global network of connectivity that is almost endless. It can be used for healthcare, for education, and of course for finance. More people today have cell phones than have radios - or even land lines. We are seeing mobile operators creating joint ventures throughout the developing world. People are paying bills, sending money - or even air time - over their cell phones. It is simply more convenient that the old ways. The majority of people in the developing world are "unbanked." Mobile technology is empowering them - allowing them to control their own finances - giving them financial independence. Diarmuid even has his own blog on this topic. I heard about Diarmuid's colleague Bill Dudley's blog on this topic from Haiti, where I have operated orphan care since Hurricane Jeanne many years ago. I find Bill's blog fascinating. Bill has written about mobile messaging (SMS) and worldwide donations, as well as another outlining how SMS was helping to save lives in Haiti. He tells me has just finished a piece about how SMS usage actually increases in dire situations, relating to the new surge in messaging from Chile, following that nation's earthquake. One of the things that I try to get across in my blogs - which focus on mobile messaging and the mobile ecosystem in general, is that SMS messaging is and should be a part of any humanitarian relief - through the use of short codes such as was done to raise funds for Haiti. The blog and references to the Ushihidi 4636 Project was another fine example of the use of the mobile ecosystem... in this case - to help save lives. As much of the developing world has less of fixed communications infrastructure than mobile infrastructure. It is, in fact, the mobile infrastructure and popularity of mobile devices for the populace that promotes the use of simple SMS messaging for a variety of purposes. SMS is used to communicate with family and friends because it is many times cheaper than voice calls, especially when most of the developing world uses pre-paid plans). 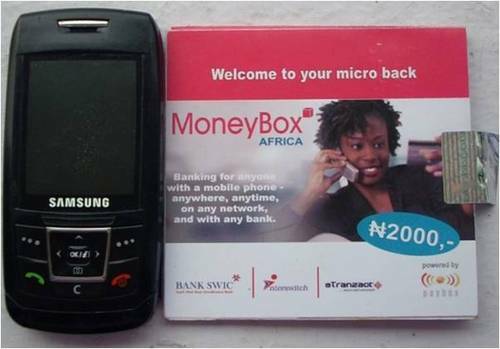 SMS is also used to interact with organizations, and to conduct financial transactions -- thus "mFinance." This is really why the developing world has certainly leapfrogged the developed world, when it comes to using mobiles for mCommerce or mFinance functions. Orphans International Worldwide is in the process of setting up orphan care in Leogane, epicenter of Haiti's earthquake. We will have a Communications Tent, sponsored by CharityHelp International (CHI) with assistance from Skype. We hope to get Digitel, Haiti's premier carrier, and Google involved as well. value on the street and link the kit with their mobile phone. 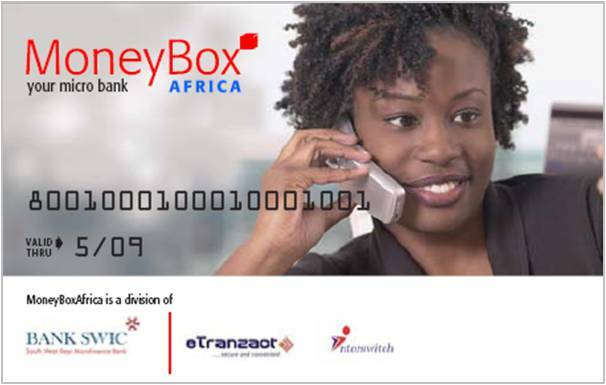 Mobile phones are ideal to begin to move small amounts of money to teach financial literacy and allow people to mature to regular bank customers. I was also able to interview Ignacio Mas, Technology Program Adviser of the Gates Foundation, on this same theme (see story). I believe that mobile phone users of eFinance services will eventually save enough to open a regular bank account - although they will continue to access their funds, pay bills, and reconcile their monthly statements by cell. Mobile technology, no matter how primitive it remains in the U.S., is transformative. The global financial system is changing. Surprisingly, it is the developing world that is leading our own legacy-bound financial system into cell connectivity.